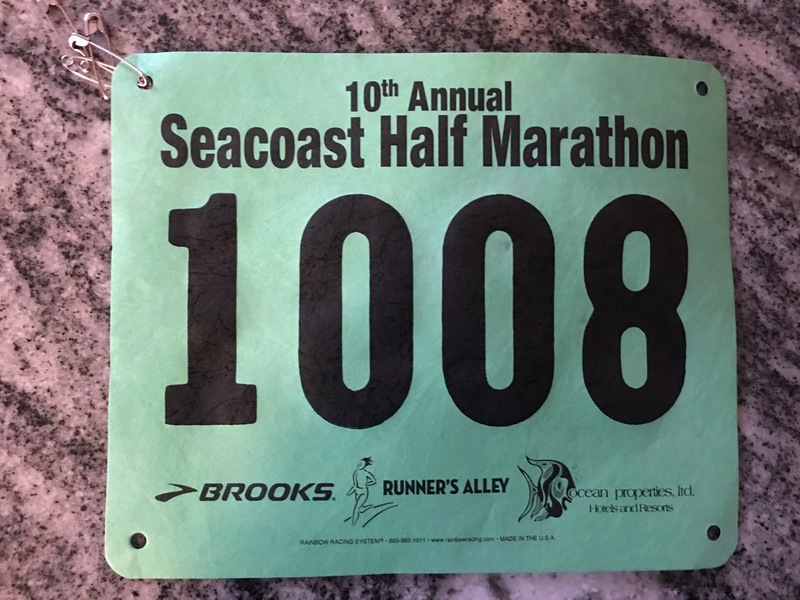 Earlier this week, I shared with you some insights on the Seacoast Half Marathon. Today, let’s dig deeper into this scenic (and cold) race. First, let’s review the bullet points from the post on Monday. Cold, Cold and Windy: It was cold at the beginning, especially in the shade, warmed up as the race got going and then got cold and very windy on the backstretch. It is November after all! My Watch versus the official Time: I run with a Garmin 220 and for the race, I was instantly “off” in regards to distance and the time. I actually started the time early and still ended up with time that was lower than the official one. Strange. Volunteers: Once again, great volunteers for this race. Every one that I came across was helpful and supportive. The Course: Not particularly difficult but the last 2 miles were all wind and then there was a 100 yard steep climb which is a killer when you have run 12+ miles. Also I made the mistake of not preparing for it ahead of time (going to fast in front of it) so getting up was a challenge. Pacers: I came to appreciate their job today. They need to stay at the same pace for 13.1 miles. I know that I could not do it! Organization: The Runners Alley running shop up in Portsmouth was a sponsor and handled the handouts of the bibs the day before. Quick and easy is the best way to describe it. Also “running only”shops are truly great to visit (the Greater Boston Running store is my local one). They offer advice and insights that you do not get at the larger box stores. Invaluable advice! Ok, so before jumping further into this, let’s put a few other facts out there first. This was my fifth race since May. I have now done 3 halfs, a 10k and the Reach the Beach relay. These are my “samples” for comparison sake. In addition to this, my previous races were all done with ASIC GT 2000 3s. This one was done in Hoka’s. Lastly, I had a plan in place for this race which I did not have experience to do so for the first 2 halfs I had run. That plan helped me attain an PR. With that out of the way, let’s begin! Compared to the sample of races I have run, this race was generally the same as the others in that it was open with only one spot where everyone had to run in single file. The course had a hill near the beginning with some “ok” ups and downs in between. At the end there was a steep climb that was just a killer for me because I did not research the copies ahead of time (at least the end of the course, I drove the former). It was about a half mile before the finish which just killed my chance for a sub 1:40 time. The views of the course were outstanding. 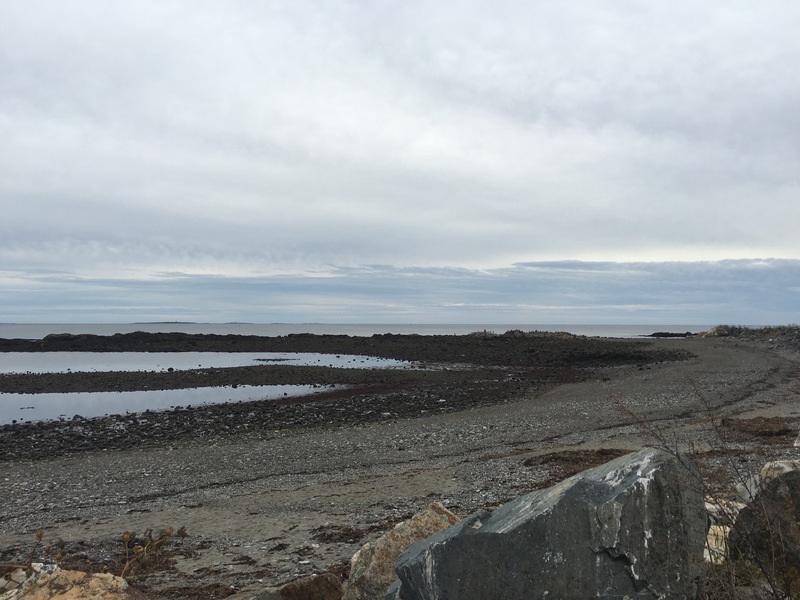 Running along the Wallis beach for a segment and then along the bay over bridges on the back end supported the “Seacoast” in the name of the race. In between the neighborhoods were peaceful and the traffic was nonexistent. The race organizers said that traffic could be a problem (as they argued not to war earbuds) but it turned out to be an non issue. All along the route, there were people cheering, bands playing music (one was playing the “Rocky” theme song which gave us a push) and plenty of people handing out gu shots and water. Overall, there was plenty to see and listen to. The starting line and finish lines were located in different spots but not too far apart (about 300 yards). The starting line was kind of crowded and I am unsure why. The street was wide enough but I still found myself on the sidewalk. Perhaps everyone was jamming to the front? In any event, not a big deal. Another point that was confusing were the placement of the mile markers – in some cases they were off by almost a .25/mile. Kind of problematic and some were complaining. They also did not exist in the last three miles. Again, not a problem for me as I had a watch but others were not happy. The one constant of every race that I have run is this: the volunteers always give there best and are tremendously supportive. This race was no different! There were great people at the start and finish and all along the route. This race truly had community support! Those working the post race food area were very nice as well. If I had questions, they all had answers. As for bib pickup, sponsor Runners Alley made it easy and quick. Within the race, the pacers were out there working hard. They have a tough job, in my opinion, running the same pace the whole time. They don’t slowdown and they generally have a tribe of runners with them (myself was one of them). I latched onto the 8min/mile pacer and it helped me right till the end. Some who finished before me said that the pacers were off on their time though I did not pay attention to such. So I spoke about the course, how about the starting line and finish line – all at the Portsmouth HS. The use of the school was great because the temps were low. Having a place to change and get ready in warm temps helped greatly. Stiff muscles were stretched out easily and one did not have to stand outside in the cold for that long. Again having access to real bathrooms was HUGE as well! That is something the previous races I had run this year did not have (the RTB had a few locations with real bathrooms but that race is 200 miles). The post race setup was also at the High School. It was simply great going into a warm building, grabbing some grub (great selection of bagels, pizza, bananas, yogurt and Mexican food). The race did not have the selection of junk food that the other halfs and I am unsure if it had beer (I left after eating). But it satisfied my post race needs! I don’t normally stick around at the end of these races if I do not not anyone so I could have missed somethings. Last topic: bling. The post race had very good food offerings, each runner was met with a water and medal and each got a long sleeve running shirt as well (at pickup the day before at Runners Alley). There was a pedometer/radio in the back which seems outdated to me but my daughter was happy to take it! Otherwise, there was not much bling. The race entry fee was not that high so this is probably what is expected (in a recent #Bibchat on Twitter, some races give out to runners some pretty awesome things from the spnsors). All told, this was a great race to partake in. The positives were many and the negatives were few. If I did not have a rule against running the same race twice, I would be signing up again for next years now! But that should not stop you from signing up! Previous Post Accountability Report: Slow week?